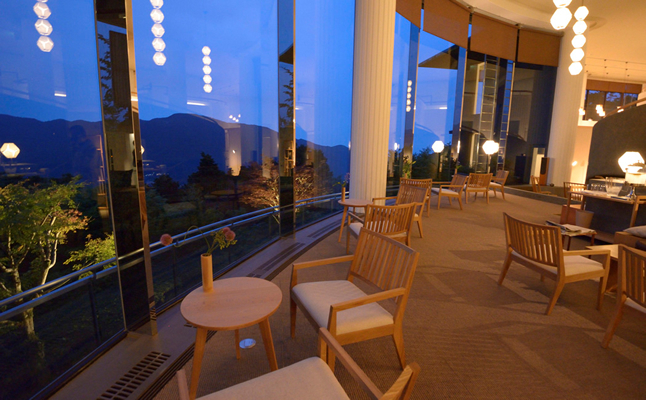 We will come to pick you up at Kowakidani Station on the Hakone Tozan railway. If you require this service, please let us know in advance when you make your reservation. Sandalwood is used as an ingredient for many perfumes due to its noble aroma, and its natural benefits include calming the mind, increasing immunity, antibacterial purification, and relieving bodily pains. Our desire is to maintain the spirit of the benefits of this "sandalwood" while providing sincere hospitality creating a resort where you can relax as if feeling the aroma of the sandalwood. 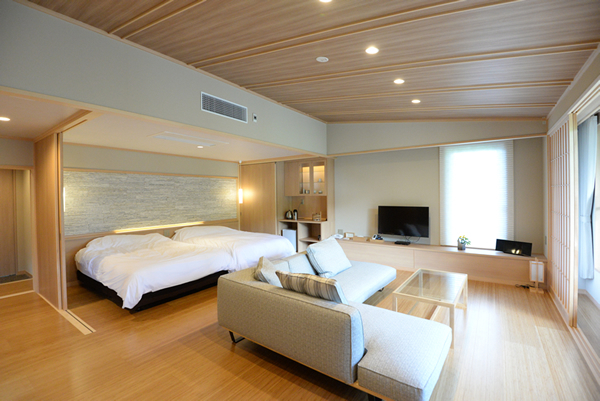 The basic concept of Byakudan's guest rooms is gentle Japanese comfort incorporating the blessings of the natural environment which depict the changing of the seasons. In these spaces you can become one with the whispering of the tree leaves, the calling of the wild birds, the chirping of the insects, and wind passing through the deciduous tree groves and moss garden, the light and shadows created in nature. 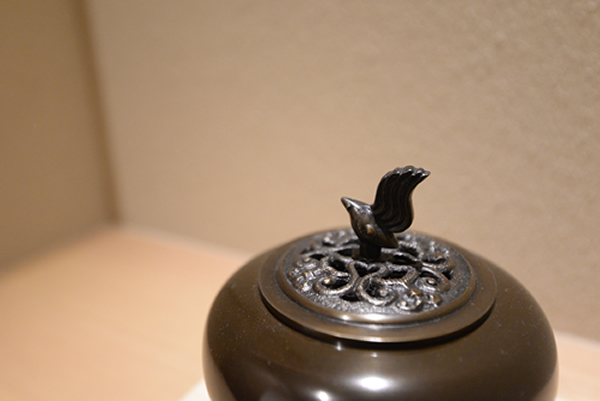 Furnishings inscribed with the names of their creators, top Japanese designers. 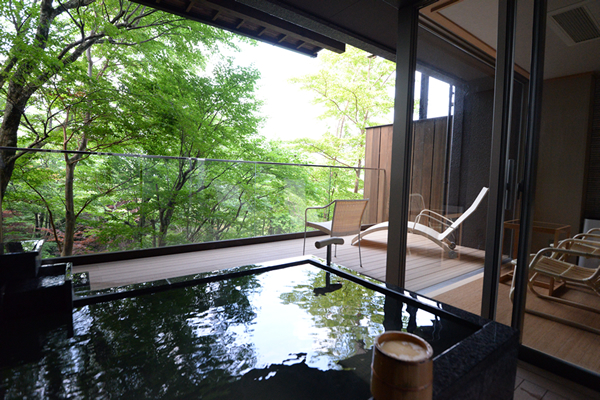 Open-air baths supplied with our private hot spring which are abundant in both volume and water quality without any circulation. You can enjoy a luxurious time while resting your mind. 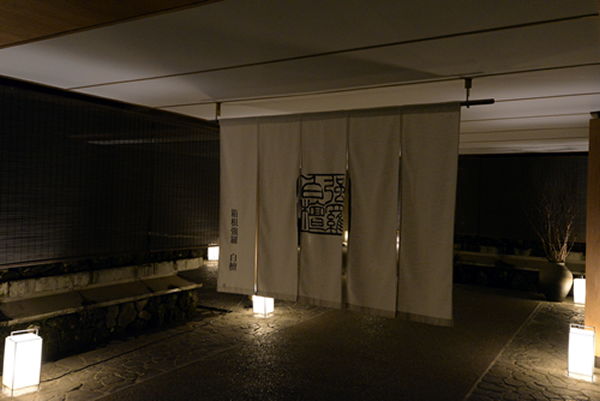 The natural hot spring water is drawn from a spring tower with steam rising from it on the premises, drawing golden colored private spring water filled with healing minerals and supplying all the open-air baths in the guest rooms and large public baths directly from the hot spring source. Conditioning incorporating spiritual elements which you will be extremely relieved after. A deep half-sleep caused by strokes like waves tempting you to fall into slumber. A deep sense of relief through the elimination of stress. All practitioners providing treatment are trained by and have qualifications from the Esalen Institute in the US. They will counsel and help you with selecting your own aroma concept (essential oil) for your treatment. Freshly budding greenery, the wind passing through a forest of broadleaf trees, a vivid deep green, a carpeting of rich autumn colors, the calling of wild birds, the harmony of evening cicada, the singing of autumn insects, the simple and refined tree shapes that appear in the winter… We hope you will enjoy the ever-changing seasonal nature of Gora as it is, and feel a clear sense of comfort in harmony with it.